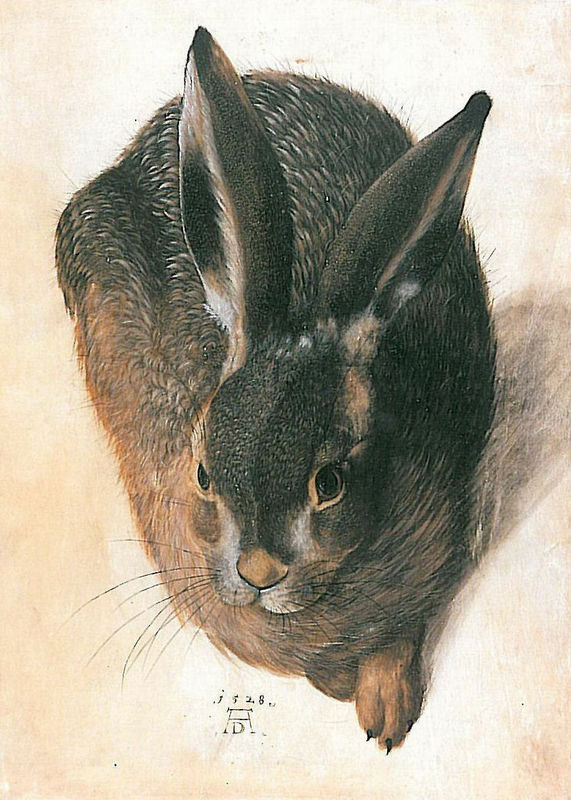 By the time Young Hare was created in 1502 Albrecht Durer was already known across Europe for his artistic genius. This piece was made at the workshop that he had opened in 1495 after returning to Germany from a trip to Italy. Although at this point in his career the artist was beginning to focus more on woodcuts and engravings, he was still making images that mixed watercolor and bodycolor to depict landscapes and animals. 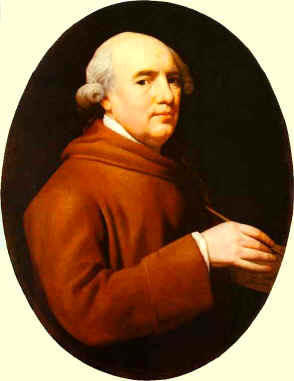 Until the 18th century the use of animals as subjects was not considered appropriate for art and it is widely suggested that George Stubbs was the first artist to level the playing field with his inspirational work. Young Hare has become a masterpiece of observational art through the ages and is a detailed and almost perfect representation of a hare. 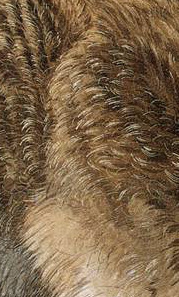 German artists of the Renaissance are defined by their attention to detail, regardless of the subject and Durer's apparent love for nature will have been a key part of his reason for painting this animal. With animals largely frowned upon as subjects for art it is most likely that Young Hare was painted for pleasure, thought it has also been suggested that Durer was looking to banish this rigid view of appropriate subjects in art. Demonstrating both his creativity and vision alongside his evident technical skill Young Hare is a work of art that captures Durer's evident belief that animals were worthy of artistic attention. The detail and time he took in producing such a timeless painting is a representation of his fascination with nature, probably taken from his explorations within Europe. Similarly, it could have been painted to depict the control and intensity that is used by an artist to create a masterpiece. 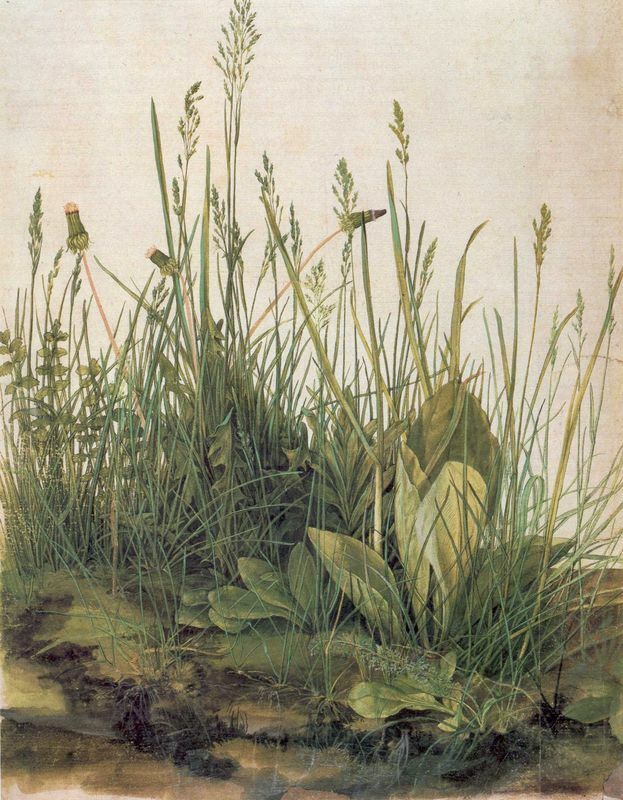 It shows Durer's maturity in painting such a watercolor and he may have been inspired to produce such a piece because of the prestige placed on painting and printmaking at the time. Young Hare is a mix of watercolor and bodycolor (also known as gouache) that was created on paper in 1502. 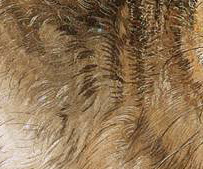 It's believed that he produced the piece in his workshop as there is a reflection of the window frame in the subject's eye but this may simply be down to the technique that Durer used. The technique is seen frequently in Durer's works as he creates a cross-barred style to add strength to his subjects and their eyes. To create the image the artist started with a sketch before under-painting it with brown watercolor washes. From here he used bodycolors and watercolors to slowly work up the foundations and add the texture of the fur using both light and dark brushstrokes to form the perfect, accurate image. Whether it was stuffed, live or in his workshop the Young Hare is a refined work and the whiskers and reflection of the window serve to showcase its brilliance. A virtuoso in the style of watercolor Young Hare shows intensity within its execution and upon its completion Durer signed and dated the work with the monogram known worldwide as his mark of approval. This is an image of natural imagery and although there is no movement from the hare, the beauty of the direct perspective and the technique used alongside the almost photogenic accuracy of the work offers an energy that perhaps shouldn't be available in such a painting. 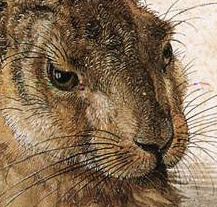 Due to the fact that animals tended not to be used in paintings and works of art during this time Young Hare was a controversial work for Durer to produce. 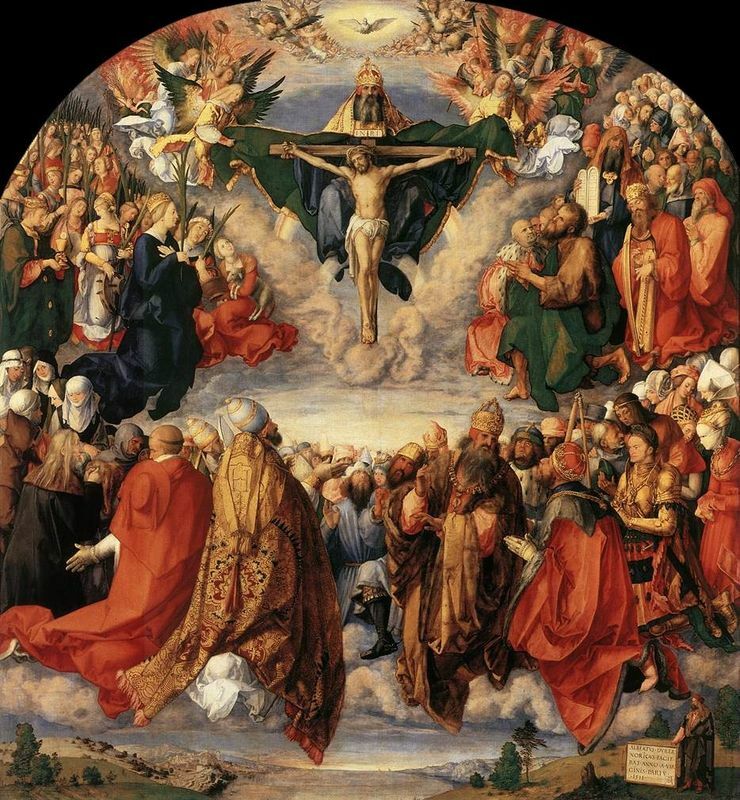 Though as he was undoubtedly one of the most famous and greatest artists to grace the Northern European Renaissance the work was well-received by friends, fellow artists and critics alike for many centuries to come. 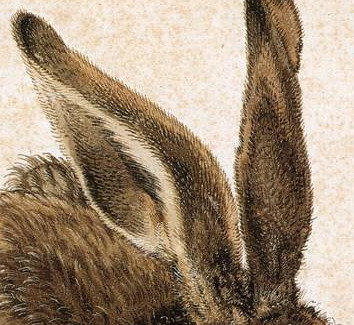 Durer's expertise in using bodycolors and watercolors created an almost photographic representation of a hare. From the layering of colors to the reflection in the hare's eyes this artwork is one of precision and realism that has been lauded as proof of Albrecht Durer's brilliance and love for all art genres. 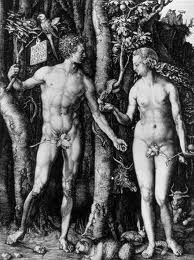 There is a hare present in this copper engraving, hidden partly by Eve's leg. Following its completion in 1503 Young Hare spent most of its time with Albrecht Durer in Nuremberg. In its beauty it gained much recognition across Europe and it is known that at least 12 copies of this work were created by other artists. It is unclear if there was much movement following Durer's death but today the work is housed in the Graphische Sammlung Albertina museum in Vienna, Austria. Albrecht Durer created this painting in his 30s at a time when he was creating more preparatory drawings and experimenting with watercolors. He was a printmaker first and foremost but enjoyed creating engravings and woodcuts. He had been painting in his workshop since 1495 following his return from Italy and had created some of his best works around this time. Soon after finishing Young Hare the artist set off for his second trip to Italy.